Veteran content technology companies deepen strategic ties to offer superior multichannel content technology integrations for publishers and content marketing firms throughout the United States. 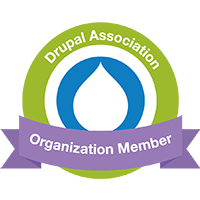 DPCI is brought on by New York Cares, the largest volunteer organization in New York City, to implement Drupal as the new Web CMS for newyorkcares.org. DPCI helped The Hearst Corporation rollout the Esquire magazine iPad application created with Adobe Digital Publishing Suite Enterprise Edition. DPCI helped Cities West Publishing, Inc. rollout the Phoenix Home & Garden Magazine iPad application created with Adobe Digital Publishing Suite Enterprise Edition. DPCI will focus on implementation, training and support services as well as integrating Adobe Digital Publishing Suite with InDesign Server, K4 Publishing System, and customer Web content management and digital asset management systems. Partnership Enables DPCI to deliver solutions using XMPie’s PersonalEffect® integrated with digital asset management and content management technologies.